A man is shot by police after confronting them with a gun. Howard County Police say the incident occurred on Sunday at around 9:17 p.m. outside of an Extended Stay America Hotel located in the 8500 block of Washington Boulevard in Jessup. Officers received a call for a man in need of medical assistance, acting erratically in the hotel lobby. 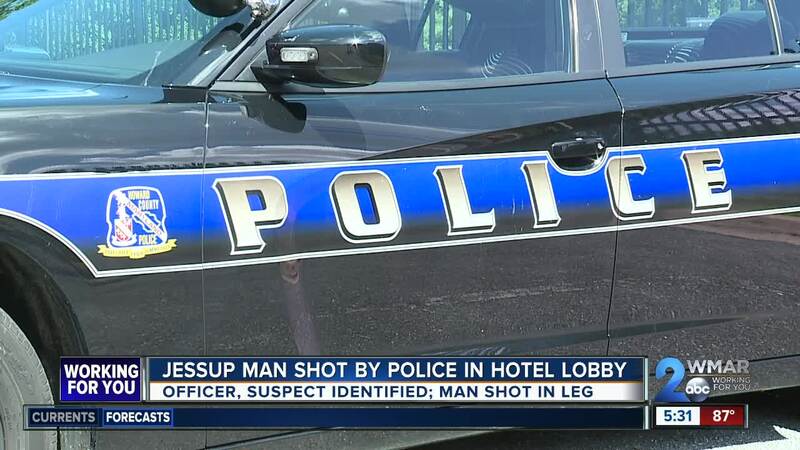 Upon their arrival, the man exited the lobby and was seen displaying a handgun and approaching police in the hotel parking lot, resulting in one officer shooting the man in the leg. He was transported to Shock Trauma and is listed in stable condition with non-life threatening injuries. The suspect's handgun was recovered at the scene. No other injuries were reported. Monday, police identified the man as Terrell Ramont Carroll, 42, of Carroll Heights Avenue in Jessup. He was charged with assault, assault on a law enforcement officer, and weapons violations. He is currently being treated at the University of Maryland Shock Trauma Center where he is in serious condition. The officer who shot Carroll was identified as PFC Brian Meekins, a three-year veteran of the Howard County Police Department. He remains on standard administrative leave while the incident is investigated by police.